Susan K. Peterson, age 63 of Pardeeville, passed away on Monday, July 16, 2018 at St. Mary’s Hospital in Madison. She was born on October 30, 1954 in Madison, the daughter of Walter and Lois Peterson. Sue married Tom Steele on June 25, 1983 in Durward’s Glen in Baraboo. Sue graduated from Queen of Apostles High School in 1973. She worked in healthcare as a “Candy Striper” and nursing assistant. at UW Hospital, she transferred to program assistant and went to Limnology (fresh water lakes). later Sue transferred to corrections where she worked as secretary to security supervision at Columbia Correction. 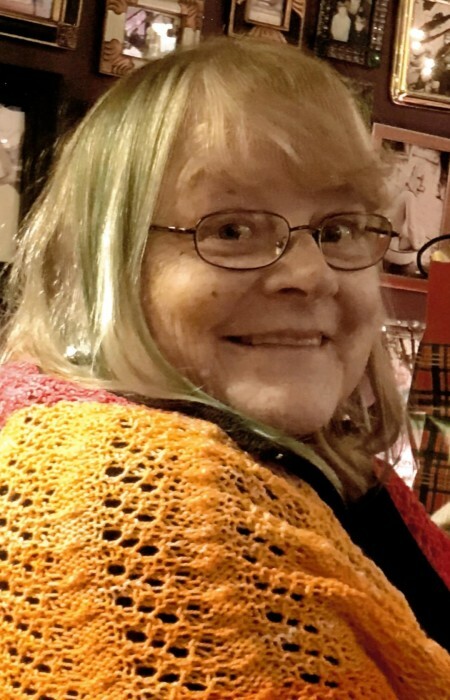 Sue’s hobbies include knitting, spinning, weaving, beading, bead weaving, lace making, lace collecting, basketry, chair caning, fiber dyeing, gardening, camping, hunting, buck skinning, flying, motorcycling, reading, traveling, cooking, baking, Navaho rug weaving, antiquing, fishing and exploring. Sue was also involved in may organizations including, St. Faustina Catholic Church Choir and CCW, String A Longs, Waupun Craft Center, International Organization of Lacer’s Association. The Madison Knitter’s Guild, the Experimental Aircraft Association and Our Lady’s Rosary Makers. Sue is survived by her husband, Tom Steele; her brother, Dr. Douglas (Evelyn Hobbs) Peterson; her beagles Ellie and Katie; sisters-in-law, Chris Steele, Cathy Steele Hall, Susie Steele; her father-in-law, John L. (Arlaina) Steele; her uncle, Roy Peterson and aunts, Marie Peterson and Janis Grasionie. She is further survived by her many cousins, friends, co-workers, knitters, spinner, crocheters and weavers. She was preceded in death by her father, Walter and her mother, Lois. A Mass of Christian Burial will be held on Monday, July 23, 2018 at 11:00 a.m. at St. Faustina Catholic Parish at St. Mary’s Church, 318 South Main St. Pardeeville. Visitation will be held from 9:00 a.m. until the time of the mass at church. Burial will follow in St. Andrew’s Catholic Cemetery.